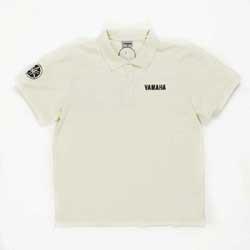 Yamaha is the first of the Japanese manufacturers to unveil its official 2009 clothing and riding kit range. 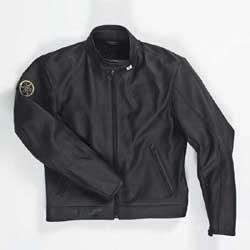 The range comprises 104 items, including updates to the firm’s current one and two-piece leather suits, and the introduction of new adventure riding kit, motocross gear, protective jackets for scooter riders, and casual clothing for when you’re not on the bike. The 2009 range is scheduled to be available through official Yamaha dealerships during November. To find your local branch, or for more information about the new kit and clothing, visit www.yamaha-motor.co.uk/accessories. We’ve chosen some of the highlights from the lineup of new kit to whet your whistle. A cowhide leather jacket featuring a thermal lining, and CE armour in the elbows and shoulders, with a pocket for a back protector. Men’s version comes in black only, in sizes 38-50, with the women’s version available in white or black, in sizes 6-20. Designed to do exactly what they say in the name, these cordura trousers feature a removable thermal lining, and come with CE protection in the knees. Available in black only, in sizes 38-50. 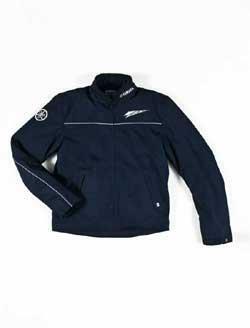 A short riding jacket for men with a removable thermal lining, and reflective Yamaha logos on the front, back, and sleeves. CE-approved protectors are fitted to the shoulders and elbows. Colours available include beige and black, and sizes range from 48-60. Cordura riding kit designed featuring a removable thermal and breathable lining, and CE-approved protection in the shoulders and elbows. 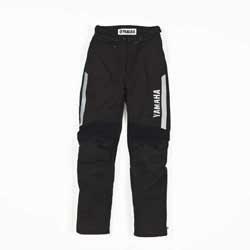 All pockets are designed to be water resistant, to allow year-round riding. Available in brown and beige only, in sizes S-2XL for men, and XS-2XL for women. 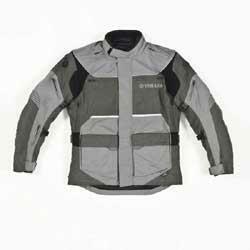 A cordura jacket available for men and women, featuring CE armour in the elbows and shoulders, and a removable thermal lining. The men’s jacket is available in black and yellow, and black and beige in sizes 48-60, while the women’s comes in black and yellow only in sizes 6-20. Nylon jacket featuring a water resistant membrane with a removable thermal lining inside. The jacket has reflective piping on the torso and sleeves. Available in blue only, in sizes S-3XL. 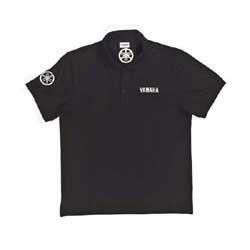 Cotton polo shirt for men and women featuring Yamaha graphics and logos on the front, shoulder, and back. Colours available include black or white, with the men’s version comes in sizes S-2XL, and the women’s version in XS-XL. Fancy a go on a 2009 Yamaha R1?